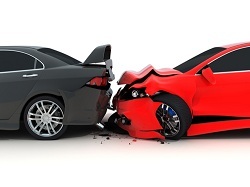 Rear-End Accident Risk and Recoveries | Hupy and Abraham, S.C.
Rear-end accidents are among the most common type of automobile accident reported in Wisconsin, Iowa, Illinois, and around the United States. According to the National Highway Traffic Safety Administration (NHTSA), almost 30 percent of car crashes are rear-end accidents. However, while rear-end accidents are common, the effects of these crashes are anything but common for the people left suffering from injuries or from the loss of their loved ones. Accordingly, it is important to understand the common causes of rear-end accidents, the common injuries sustained in such crashes, and what you should do if a rear-end car crash has impacted your family. Speeding: A speeding car may not have the time needed to slow down or stop when the car in front of it slows down or stops. Aggressive driving: Tailgating or following another vehicle too closely can result in a serious rear-end crash. Distracted driving: A distracted driver may not realize that the car in front of him has slowed down or stopped until it is too late to prevent a crash. Bad weather: Following a car too closely in snow, ice, rain, or fog can result in a serious rear-end crash. Whiplash. This is a common injury after rear-end collisions. It is caused by sudden involuntary movement of the neck. Whiplash symptoms can include pain in the neck and back, headaches, or tingling in the arms and legs. Lacerations. The impact of the crash can shatter the windows of vehicle, causing jagged pieces of glass to fall and cut a victim. These cuts can be very painful and in some instances life-threatening. Fractured bones. The power and force of a rear-end car accident can result in broken or fractured bones. A fractured bone can be very painful. Sometimes fracturing a bone can have long-term complications or may require surgery. Contusions. A contusion, or bruise, is generally an injury that can heal itself. It is caused from trauma that causes internal bleeding. However, there are instances in which the contusion can be extremely dangerous and potentially fatal. Of course, other injuries may also occur and it is important to seek prompt medical treatment after any accident. While the fault generally lies with the driver of the car that collided with the rear of the car in front of it, sometimes the driver of the front car could bear partial responsibility. This can be the case in the event of an unrepaired brake or signal light, or the failure to signal a turn, for example. Contacting the appropriate authorities. You can call 911 to get police and first responders immediately dispatched to the accident scene. Gathering pertinent information from other parties involved. The name, address, phone number, driver’s license number, license plate number, insurance company, policy number, and vehicle ownership information should be exchanged by all parties at the scene of the accident. Additionally, get the names and contact information for passenger and eyewitnesses. Taking pictures of the damage incurred. Note the color, year and make of the vehicles. Reporting the accident to your insurance company. Remember that you are required to cooperate with your own insurance company, but you are NOT required to speak to the other driver’s insurance company. Getting your free copy of The Ultimate Guide for Automobile Accident Victims, written by the car accident lawyers at Hupy & Abraham. Then, contact us directly at 1-800-800-5678 to schedule a free consultation about your rights and recovery.